After attending Northwestern University, American actress Penny Fuller (b. Lumberton, NC, 21 July 1940) moved to New York to make her Off-Broadway debut in The Moon Besieged (1962). She first appeared on Broadway in 1964 as a replacement in Neil Simon’s stage play, Barefoot in the Park, playing Corie Bratter opposite Robert Redford. Her first singing role was Sally Bowles in Cabaret in 1966. 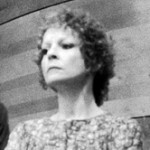 In 1970, after several Shakespearean productions, Fuller starred in the role of Eve Harrington in Applause, the musical adaptation of the film All About Eve. 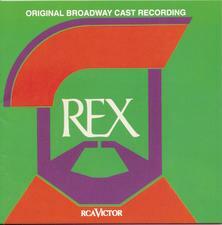 In Richard Rodgers and Sheldon Harnick’s ill-fated Rex (1976), a musical based on the life of Henry VIII, she played both Ann Boleyn and Princess Elizabeth. This performance brought her a Tony nomination. In the 1980s Penny Fuller did extensive work on television, most memorably in her Emmy-winning performance as Mrs. Kendal in Bernard Pomerance’s play The Elephant Man (1982) and in the 1985 TV version of Tennessee Williams’s Cat on a Hot Tin Roof, in which she played Mae (a.k.a. “Sister Woman”) opposite Jessica Lange and Tommy Lee Jones. Previously she had guest-starred in dozens of TV series, including The Edge of Night (1964), Love, American Style (1969), The Bob Newhart Show (1972), Banacek (1973), Trapper John, M.D. (1979, 1981), One Day at a Time (1983), and The Love Boat (1983, 1985). 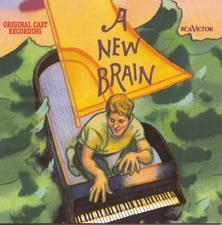 Penny Fuller was back on Broadway in the original production of Wendy Wasserstein’s An American Daughter (1997), and in 1998 she performed the role of Mimi Schwinn in the original off-Broadway production of William Finn and James Lapine’s musical, A New Brain,, winning a Drama Desk Award. She appeared in the revival of Rodgers and Sondheim’s Do I Hear a Waltz? at New Jersey’s George Street Playhouse in 1999, and in 2000 she was nominated for a Tony for her performance in Neil Simon’s The Dinner Party. Off-Broadway she has also been seen in Three Viewings (1995) and Nicky Silver’s Beautiful Child (2004). Her TV career has continued with L.A. Law (1988), Murder, She Wrote (1988, 1993), China Beach (1989–90), Quantum Leap (1992), NYPD Blue (1994), Mad About You (1994–95), Melrose Place (1994–95), ER (1995), Law & Order (1998) and Judging Amy (2002, 2005). Her large-screen work has included All the President’s Men (1976) and The Beverly Hillbillies (1993).